The module allows the link to shop PrestaShop ATOS payment platform. Find the list of banks that use this platform below. The module allows the link to shop PrestaShop ATOS payment platform For LCL. 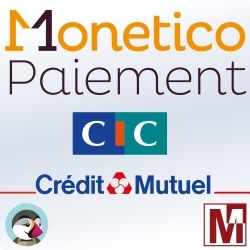 The module allows the link to shop PrestaShop ATOS payment platform For La Banque Postale. The module allows the link to shop PrestaShop ATOS payment platform For HSBC. The module allows the link to shop PrestaShop ATOS payment platform For BNP.